Hey there. So what has Metallman's thumbs and fingers busy these past few weeks? 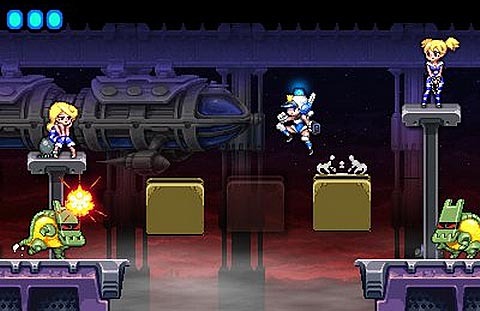 Mighty Switch Force by WayForward Technologies for the Nintendo 3DS! Our good friends at Nintendo provided me with a copy of this great action/puzzle game I haven't been able to put it down. From what I have been told, there are other Switch Force games out there but this is my first time playing any game in the series and I would like to think that it's one of the best. So let's take a look at the game, Mighty Switch Force. First of the all, the game is for the Nintendo 3DS. 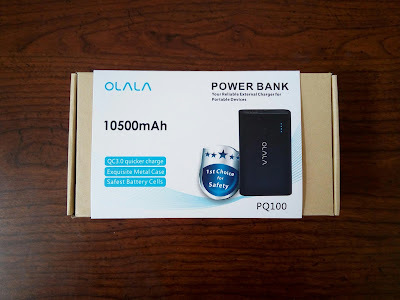 If you don't have one, go get one. I simply love the 3DS and how can you blame me. I've own practically every handheld gaming device by Nintendo and the 3DS doesn't disappoint. Anyways, the premise of the game is simple: cop needs to arrest the bad guys. Nothing new there. But that doesn't mean this game is the same old thing. You play as the cyborg cop, Patricia Wagon, and you need to round up the female convicts that escaped from the crashed patty wagon. Using your wits and smarts, you navigate through the stage, avoiding enemies and obstacles, to get to the convicts. It sounds simple enough but there are some elements to this game that are extremely addicting. You better "switch" or you're gonig to fall through that block in the middle!!! 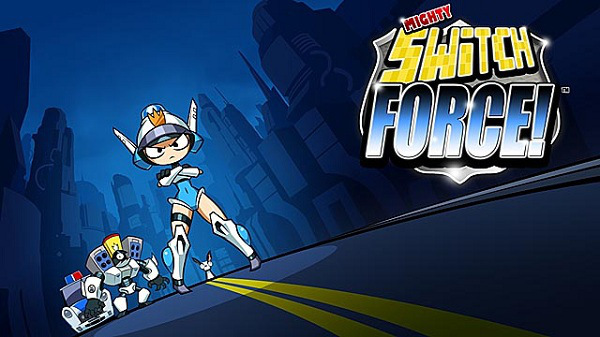 The game play for Mighty Switch Force is fairly easy to pick up. You jump, shoot, and move blocks to navigate through the stages. It's action, but with a touch of puzzle solving. One unique aspect of the game is the ability to "switch" certain blocks in the game. You run around shooting enemies but you also need to switch and move blocks in order to complete the stage. This switching ability will enable you solidify and/or activate certain blocks and disable others. You can walk or go through blocks that are not switched but if you swich the block while you are in it, you will end up losing a life. As you progress through the stage, you will find check points that will allow you to restart from that spot if you were to lose one of your 3 hearts. Once you lose all three, you'll have to start over. I love the switching. It adds depth and a strategic element to the game that I simply found facsinating. It's a simple concept that really adds depth to this awesome game. Each stage of Mighty Swich Force has a "Par Time." It essentially is a goal that you should try to achieve when playing the game. The first stage, for example, has a par time of 1:30. If you do not make any mistakes and make all the right moves, you should be able to complete the first stage in under a minute and 30 seconds. The par time adds huge replay value to the game. You can speed through the stages attempting to beat your previous times. This is where I tend to lose track of time. I'll get through a stage but tell myself that I could do better. Before I know it, an hour has passsed by and I'm still trying to improve my times! Don't miss a spot or you'll have to do it again! If you are looking for great way to pass the time, check out Mighty Switch Froce for the Nintendo 3DS. It's a simple game executed extremely well. The graphics are not bad and I love that the game pokes fun of itself. Some screen shots inbetween stages will show your arrested convicts being "punished". One such screen shot will show them chained up but washing the patty wagon. The game has some mischievious undertones but nothing that would be deemed offensive. I don't think it is at least. But Mighty Switch Force is one fun and addicting game and if you have a $5.99 to spare, you should pick it up at the Nintendo eShop! Later!